This month, Walnut Street Theatre for Kids continues it's tradition of fun and entertaining performances for families with R.L. 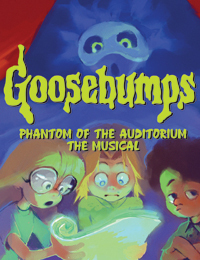 Stine's GOOSEBUMPS: Phantom of the Auditorium! Based off of the book series, the show follows two children, Brooke and Zeke, as they try to rehearse for the school play. Things go a little off script however when they encounter what might be a phantom! The audience will get a kick out of watching the hilarious antics and spooky moments while the cast discovers if ghost stories are true or if someone is just playing a joke on them. The cast is lead by WST newcomers Leah Senseney and Elias Rivera accompanied by a dynamic group of actors who sing and dance their way through the fun storyline. 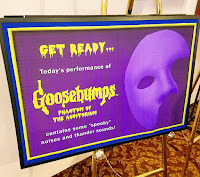 GOOSEBUMPS is a great show for all ages with only the smallest bit of spookiness which is heavily balanced out with continuous doses of humor and lots of catchy songs. 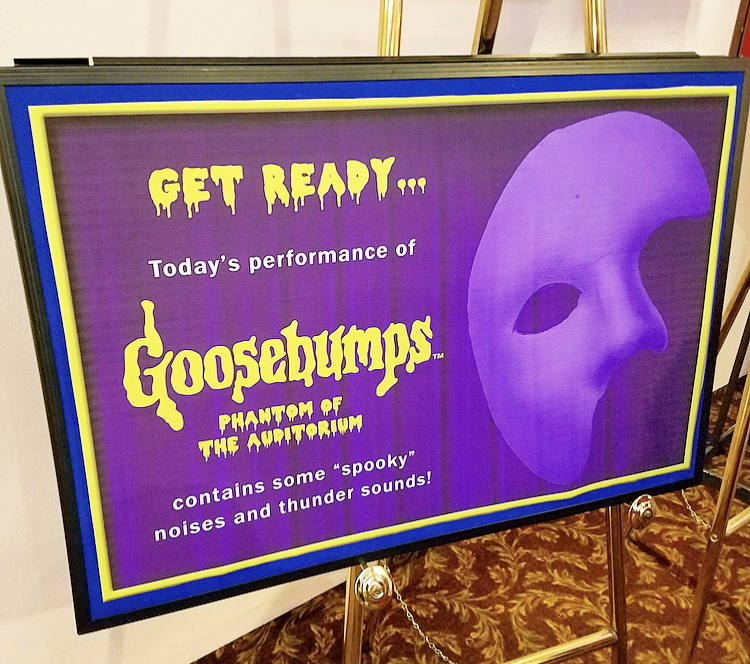 We always love our experiences at the historic Walnut Street Theatre and GOOSEBUMPS is no exception! Visit: www.walnutstreettheatre.org for show times and ticket information. The Walnut Street Theatre is known for being the country's oldest theater, and while the building is dripping in fascinating history, there is nothing outdated about the energy and vibrancy of it's theatre company. Top notch shows and professional performers make their live theater experiences nothing short of endless entertainment. Running throughout the holiday season, adults and children will enjoy a timeless classic set to music in Roald Dahl's Matilda the Musical. Following the ups and downs and eventual triumph of a brave little girl with a huge and magical imagination (a role shared by Ellie Biron and Jemma Bleu Greenbaum), Matilda demonstrates what can happen when you refuse to let the problems in your life dictate who you can become. It's story of hope that has the audience leaving the theater more determined to see the good and make the good in their own lives. Running through January 6th, Matilda the Musical is packed full from beginning to end with an unbelievable amount of talent. From a cast comprised largely of children and teenagers comes singing, dancing, and acting skills that are incredible and almost unbelievable at times! The sheer ability to not break character in moments that keep the audience howling was very impressive. The adults of the cast also shone as both worthy and unworthy characters with so much comedic energy that even Christopher Sutton and Lyn Philistine as Mr. and Mrs. Wormwood and Ian Merril Peakes as a truly unforgettable Miss Trunchbull were beloved to the audience. Heartfelt, heroic, and hysterical, Matilda the Musical is a must-see in Philadelphia this holiday season! 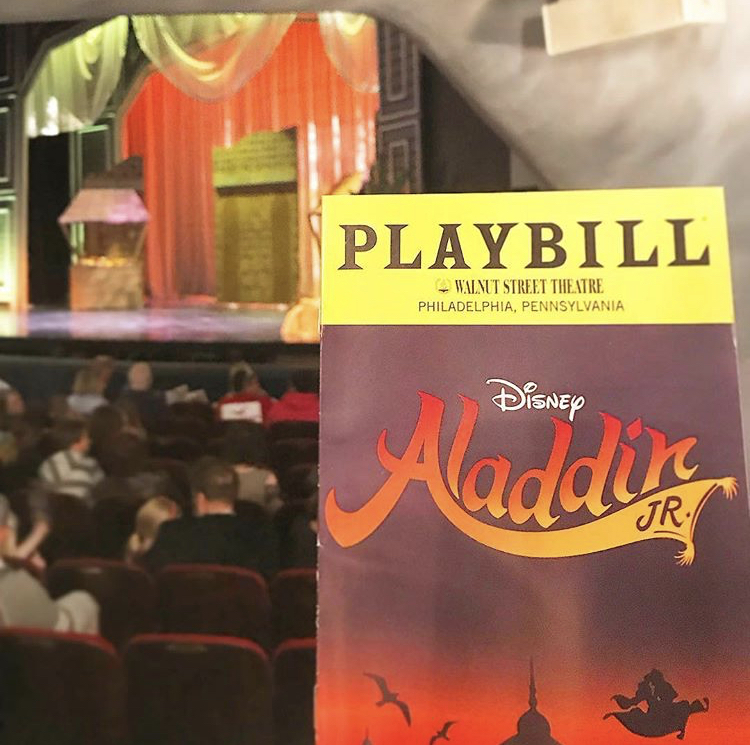 The Walnut Street Theatre for Kids kicked off its 2018/2019 season with a spirited and fun production of Aladdin Jr. - a version that has all the magic of the original story plus some extra twists and bonus characters. With a strong cast in both main and supporting roles, the young actors and actresses were able to bring to life the tale of a desperate boy and a determined princess and the ways their lives would intersect and change everything for the better. Aladdin Jr. focuses a little bit more on friendship and there is a more clear divide between the intents of the "good" and "bad" characters in a way that translates better to a younger audience. We were impressed with the singing chops of the actors (a stand out being the female harmonies in "These Palace Walls"), and were especially blown away by the added task given to the cast to act as their own stage crew. Every scene change was done seamlessly and the whole show had a great pace and flow to it. 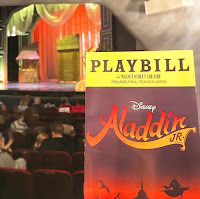 Aladdin Jr. seemed to be extremely well received by the enthusiastic audience, and everyone involved in the production should be very proud to have started off the season with such a bang. We always enjoy the experience of live shows at the Walnut Street Theater! It's such a historic piece of Philadelphia and live theatre history in general. 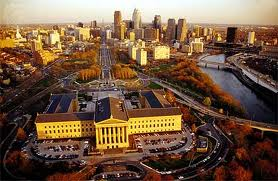 Being there and walking and sitting in a building that has housed such legendary actors and shows is a pure pleasure. We love that they are able to share this amazing history and passion for the stage with very young audiences through their Theatre for Kids program. The ticket prices are incredibly affordable and the shows are always highly entertaining for a wide range of ages. more shows, directions and parking, and ticket prices. 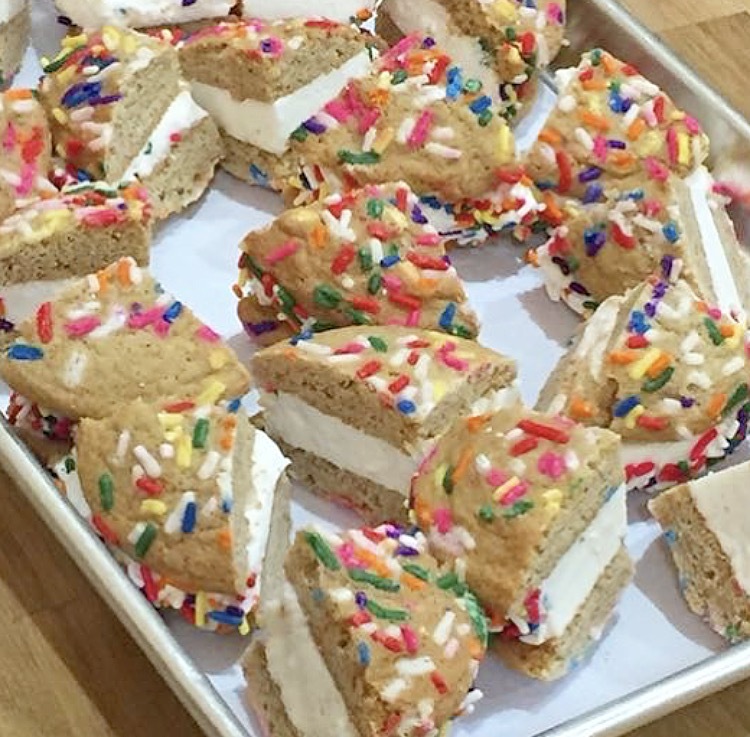 East Passyunk Flavors on the Ave is a Philadelphia street festival you do not want to miss! This exciting afternoon will feature over 20 participating restaurants, live music, shopping, and fun and games for kids and adults. What used to be a private under-the-tent event is now a festival that is free and open to the public! 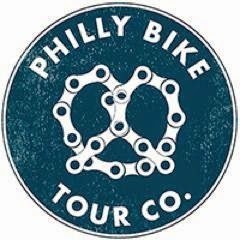 Take advantage of this great opportunity to sample $3-5 bits and specialty drinks, and start planning the list of places you want to revisit. 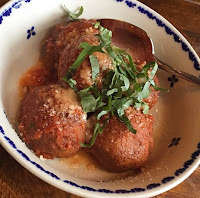 This area of Philadelphia is full of the hottest authentic restaurants, each with unique flavors and ambiance you can instantly tell are created with passion and care. Try Le Virtu, authentic regional Italian cuisine that uses cheeses from a small farm straight from Italy. Or Fond, with the perfect mushroom soup. 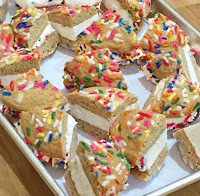 Blood orange margaritas from Cantina los Caballitos, or an ice cream sandwich from Vanilya Bakery, willgive you a taste of what East Passyunk has to offer. Stop in at any of the fun boutiques and find a treasure for your home, your pet, your child, or you! 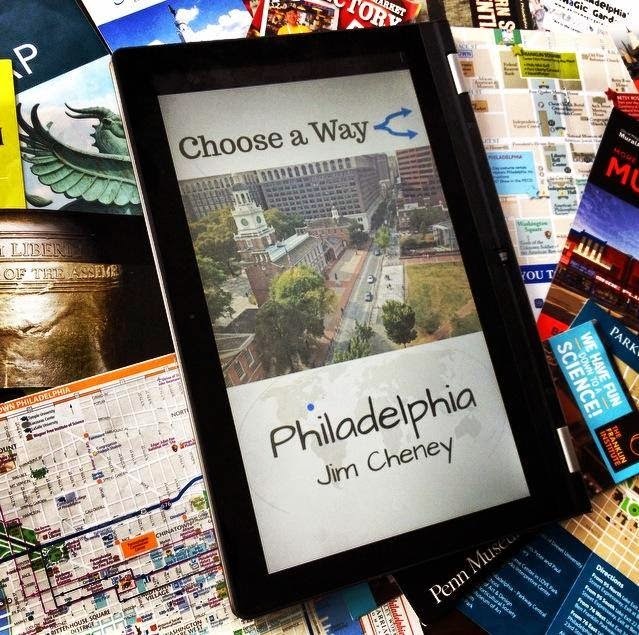 There is definitely something for everyone is this bubbling pocket of Philadelphia The community and vibrant culture of this area are worth the visit! 5 blocks Broad st. to Dickinson St.
Sid the Science Kid is a very popular PBS KIDS series that focuses on learning and loving science. The award winning program shares the basics of science in a way that children can understand and relate to with everyday places and problems becoming the basis for a new experiment or concept. 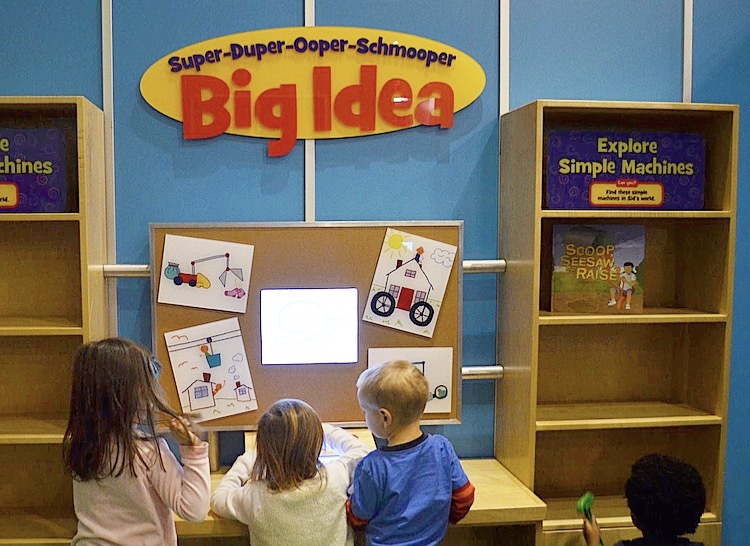 Now the show is headed to the Please Touch Museum with the fun and interactive Sid the Science Kid: The Super-Duper Exhibit! One of the first things that we noticed when checking out this exhibit was how huge it was! Sid the Science Kid is the biggest special exhibit to ever be hosted by the Please Touch Museum. With so much to do and experience, extra space had to be opened up and cleared out in order to fit all the different stations. The entire exhibit is science based, so while the little ones will still love all the sensory play (especially the indoor playground and the reading corner! ), older kids will get the most out of the educational parts of the exhibit. Visitors are invited to explore Sid's world as he turns everyday moments and objects into easy experiments. 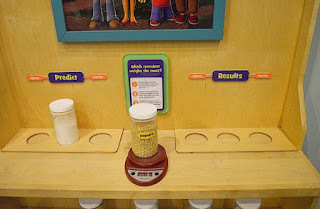 We really enjoyed all the introductions to the scientific method - especially in the kitchen area where you can make predictions as to which jar will be heavier and then test your theory. While most areas test pure fun and creativity (like the toy catapult and using non-standard measurement), there is practical application as well like the station designed to demonstrate the importance of seat belts. We had fantastic time exploring the whole exhibit and definitely recommend multiple visits to get the most out of how much there is to do and learn. 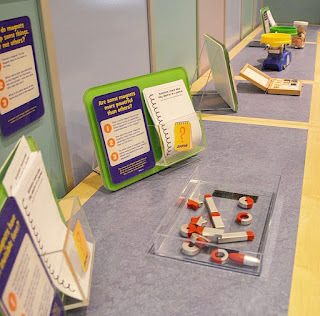 From magnets and momentum to simple machines and pretend play, Sid the Science Kid is a wonderful way to introduce and dive deeper into STEM in a way that both younger and older kids will love. 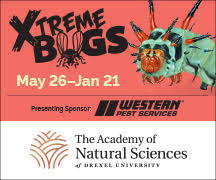 It's definitely a must-see for Philadelphia families this spring! Sid the Science Kid: The Super-Duper Exhibit will be at the Please Touch Museum through May 6th. 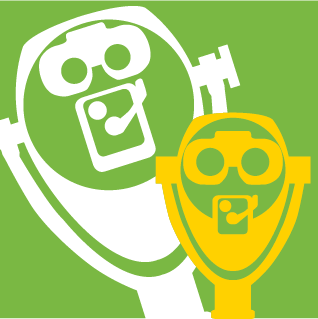 Look for extra exhibit events all season long! 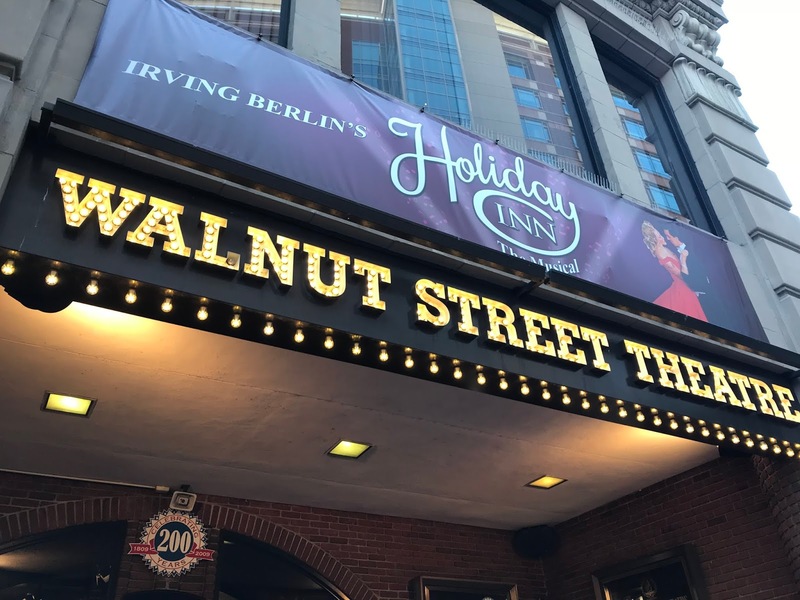 The Walnut Street Theatre is known for its rich history in the theatrical arts (it's the oldest continually running theatre in the English speaking world! 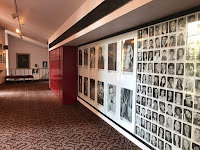 ), and it's stage has seen many MANY famous talents, shows, and audience members. 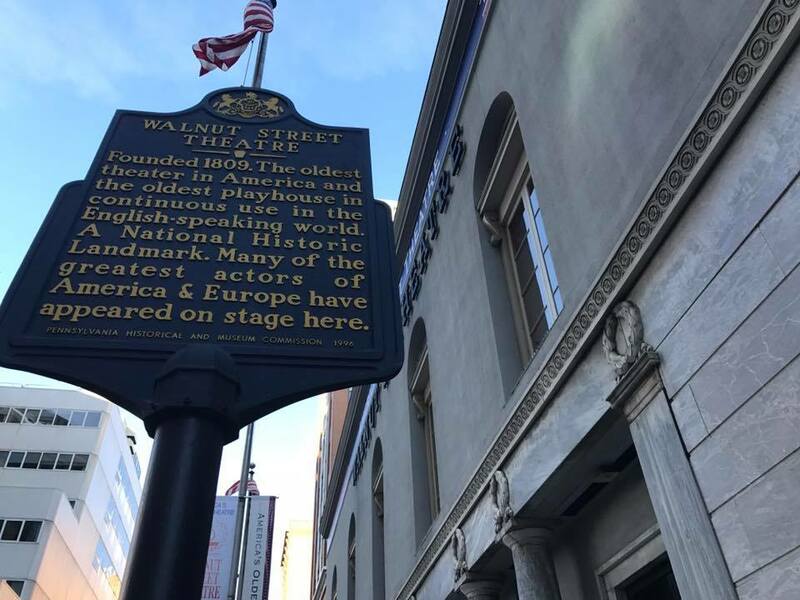 With seasons so popular that seats are sold out months ahead of time, the Walnut Street Theatre is a cornerstone of the arts in Philadelphia. 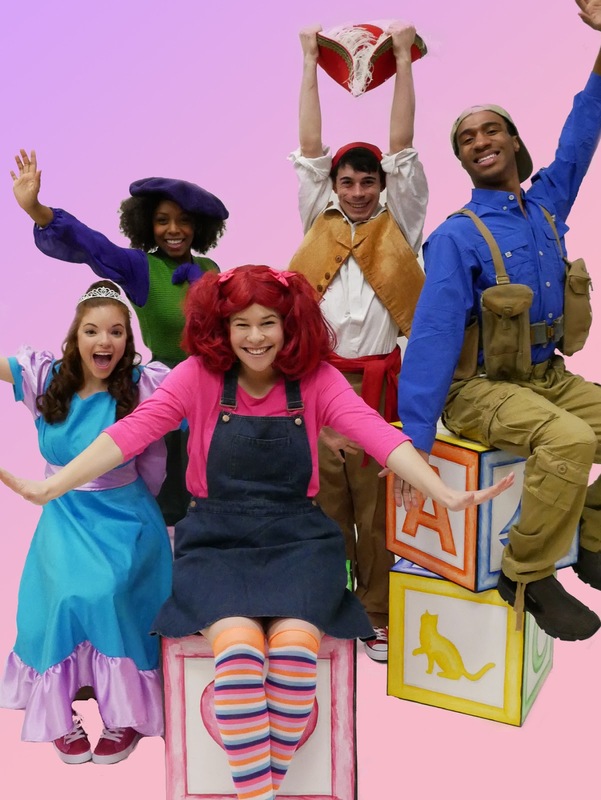 Along with the their Mainstage and Independence Studio on 3, the theatre also offers a variety of family-friendly shows throughout the year with their Walnut Street Theatre for Kids program. Daily Vacationer had the privilege to attend their current Theatre for Kids show, and we definitely had a great time! StinkyKids: The Musical is based off of the popular StinkyKids book series by author Britt Menzies and follows the adventures of a girl and her group of friends as they deal with such issues as friendship, sharing, and trying not to disappoint their parents. The show takes these problems that all children deal with and throws in fun musical numbers to help tell the story and let the characters work through things. Unfortunately for main character Britt, she has a big problem in this particular story as a wad of gum has gotten stuck in her hair as a result of not listening to her parents. 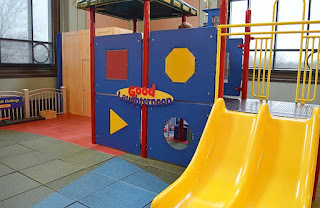 Will her and her friends be able to figure it out on their own, or will she have to tell her parents the truth and risk not being allowed to go to Captain Happy's Jumpy-Fun-Super-Bouncy Indoor Palace (a place the children speak about in excited reverence with a hysterical running gag). The cast of StinkyKids make for some very authentic 6 and 7 year olds, relating well with an audience full of children. With different interests, personalities, and ways of reacting to the same thing, the Stinky Kids cover a huge variety of possible problems and ways to solve them as well as lots of good times and all the many ways to enjoy them. 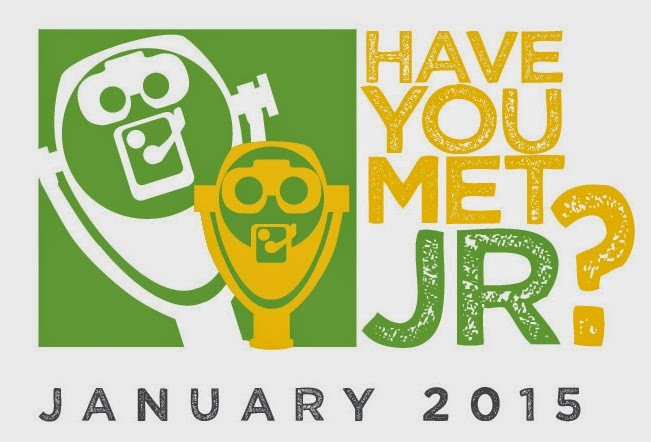 The numbers are frequent and enjoyable (and cover such topics as "You're Not Gunna Get In Trouble" and "Maybe This is a Mistake") with the show moving along at a perfect pace for ages K - 6th (although we saw plenty of audience members both older and younger having a great time!). One of our favorite parts of the show, besides the believability of the cast, was the discernible difference between intentional misbehavior and kids just being kids as well as the realistic portrayal of the consequences that come with either one. Stinky Kids: The Musical with its strong cast (Jared Calhoun, Alexa Cepeda, Chali Cookie, Stephen Fala, Dana Orange, and Faith Sacher) is running at The Walnut Street Theatre through February 11th with tickets available at walnutstreettheatre.org. 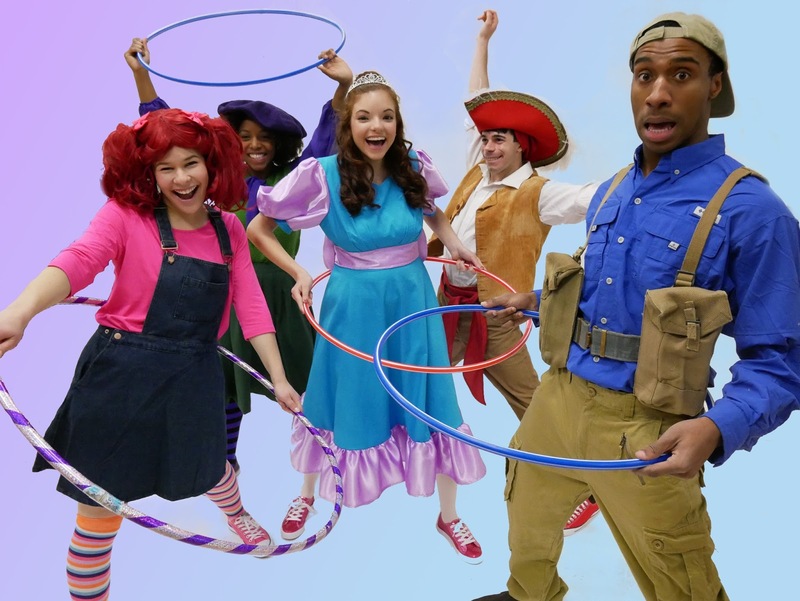 Make sure to check out the upcoming Theatre Kids shows including The Musical Adventures of Flat Stanley Jr. starting March 31st and Ivy Bean: The Musical opening June 1st. 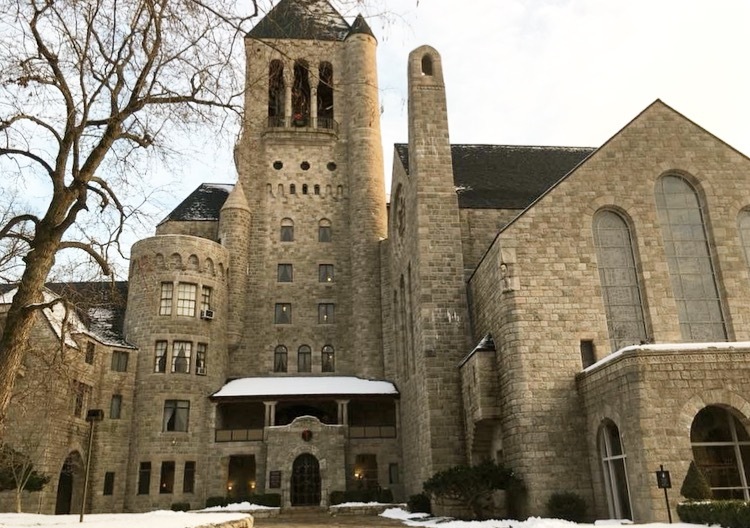 Just thirty minutes from the bustle of Philadelphia, Glencairn Museum provides an idyllic and serene setting to appreciate the beauty of the Christmas season. Built in the 1930’s, Glencairn was the family home of Raymond Pitcairn’s family. 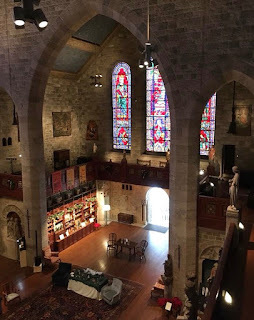 In 1980, it was converted into a museum where visitors can now see an extensive collection of religious art and enjoy learning about the family who once lived in this beautiful home. The museum’s “Christmas in the Castle” tour deftly combines these two elements as visitors view art related to the story of Christ’s birth and learn about how the Pitcairn family celebrated Christmas. 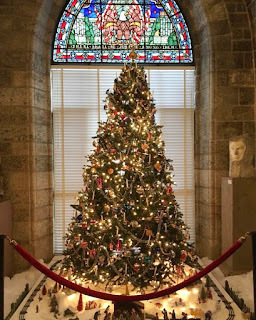 During the 45 minute tour, our knowledgeable guide showed us the family’s favorite Christmas table decorations, described how the huge table took up much of the great hall, and led us upstairs to see the beautiful master bedroom – complete with Mrs. Pitcairn’s favorite Christmas dress. Along the way our guide also pointed out stained glass windows related to the Christmas story and talked about some of the family’s ornate and beautiful nativity sets. Taking the elevator up to the tower was one of the tour’s highlights! The enclosed tower room was nice and warm, while its glass walls allowed us to have a breathtaking view of the surrounding area. 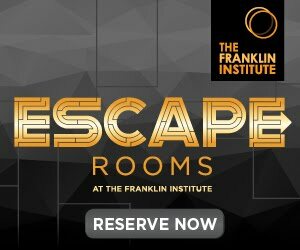 Every wall, ceiling, and window offers something new and interesting to see on this fascinating journey, so we can understand why booking your tour reservation in advance is highly recommended! In addition to the “Christmas in the Castle” tour, visitors will also enjoy the “World Nativities” exhibition and the “Do You See What I See?” exhibition. The collection of nativities from around the world is stunning in its diversity and detail, with many cultures and styles of art represented. The “Do you See What I See?” display shows examples from around the world of how different people in the Christmas story have been represented through art. The scale and beauty of the museum’s main rooms offer a sense of peace and rest as visitors make their way around the exhibits. Daily Vacationer Jr says: Visiting the castle with children will be a delightful experience so long as they are old enough to understand some objects must not be touched. Our tour guide made sure to point out objects of interest to the elementary-aged children in our group, and also took the time to discuss what life was like for the children growing up in this home. Riding the elevator up to the tower is sure to be a favorite as well! We even learned that the Pitcairn’s grandchildren used to come over after school and do their homework up in the tower. Young visitors will also delight in completing the Word Nativities seek-and-find challenge, and they will even receive a prize for filling out their papers correctly (don’t worry – a friendly staff member is available to give hints if needed!) Children are sure to enjoy the immense level of detail in the many nativity sets, and if they look under the Christmas tree they’ll even find a few sets they can play with. 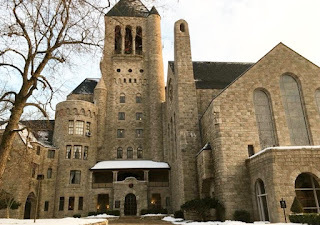 "Christmas in the Castle" tours running through Sunday, January 7. Call 267.502.2990 or visit glencairnmuseum.org for dates, times, and reservations. 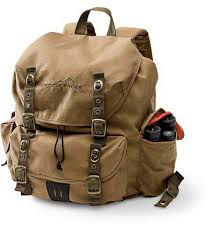 Daily Vacationer highly recommends booking your tour as far in advance as possible.